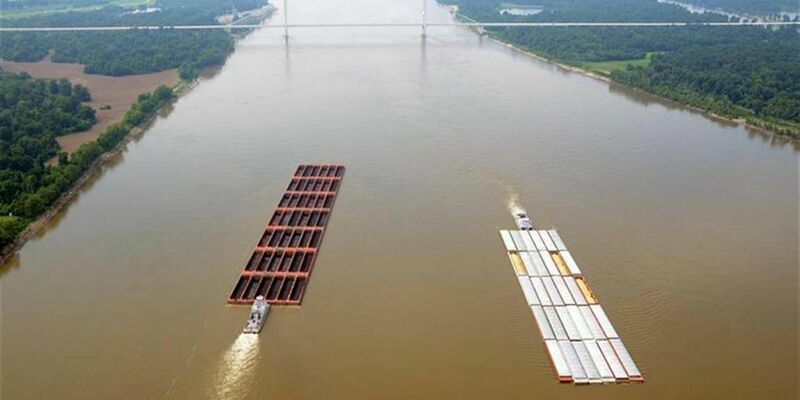 BATON ROUGE, LA (WAFB) - The company that operates the crane barge that caused structural damage to Sunshine Bridge last week has been involved in at least 27 other bridge accidents in the last five years, according to records from the United States Coast Guard. Marquette Transportation is listed as an “involved organization” in records for a number of bridge “allision” incidents in the last five years, including at least five the Coast Guard considers “serious,” which cost hundreds of thousands of dollars because of damage to vessels, bridges, cargo, and other structures. “Allision” is the nautical term that describes a ship dashing against a stationary object. Allision does not necessarily mean there was significant damage to the object or the ship. Coast Guard officials noted allision incidents are common and can be merely cosmetic, like a car scraping against a pylon in a parking lot. The Coast Guard is still in the early fact-finding stage of the investigation into the Sunshine Bridge incident. There is no timetable for an end to the investigation. When the investigation concludes, the Coast Guard will analyze its findings and decide if it needs to fine Marquette or even remove the company’s merchant credentials. The Coast Guard says it will consider prior incidents in that decision. Four of the incidents occurred in Louisiana waters, or near Louisiana in the Gulf of Mexico. Marquette Transportation was also involved in a serious collision at Mardi Gras World in New Orleans, and an incident with the Highway 190 bridge in Baton Rouge.